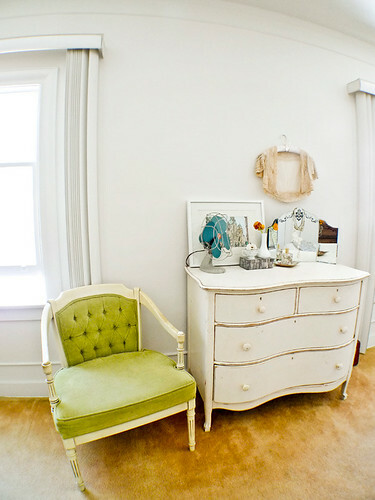 Irrevocably Smitten | Adore Vintage Real Apt. I have fallen irrevocably in love with this apartment from Adore Vintage, which I discovered via Simply Grove. What first caught my eye is the gorgeous green chair. I covet it immensely. I also love the graceful curves of that vintage dresser. And that turquoise retro fan is to-die-for! 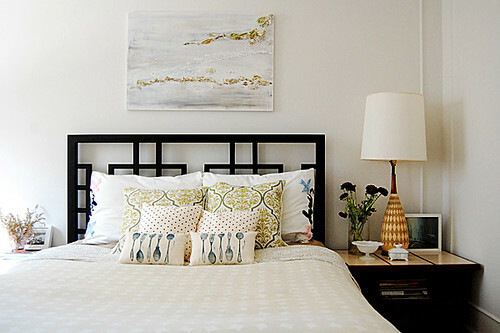 Isn't the bedroom so simple and pretty? The mix-matching of pillow patterns is lovely. I love that lamp. And all the white is so crisp and serene. This desk area is ideal, too. 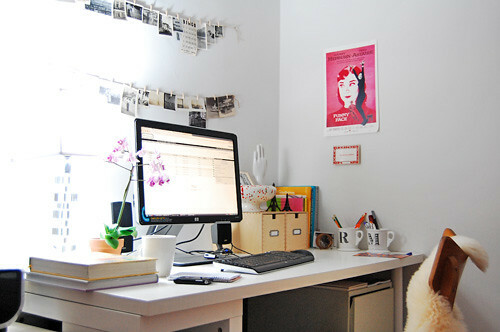 It is not only very organized and efficient, but it looks like a space that's really conducive to creativity. I'm currently doing a lot of inspiration-seeking so that I'll have an idea of what I want my space to look like this fall. This one is waaaaay up there on the inspiration chart. For more photos of this apartment, visit the Adore Vintage photostream on Flickr. The desk is beautiful! I literally want that desk in my room.